Dwayne Johnson wears metal or titanium sunglasses with black plastic rims and arms in Season 2 of Ballers. 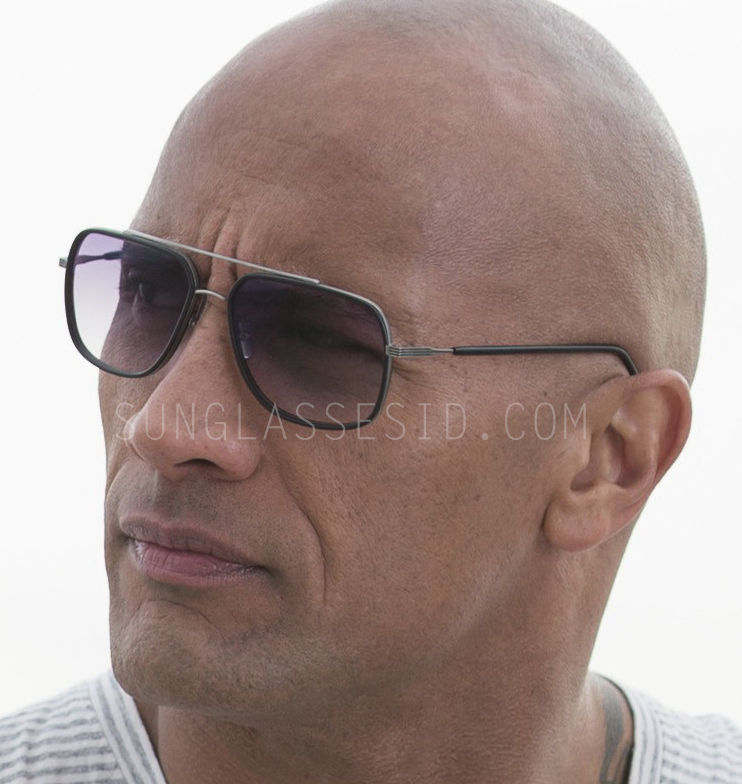 Dwayne Johnson wears a pair of titanium Dita Avocet-Two sunglasses and gradient lenses in Season 2 of Ballers. These Dita Avocet-Two glasses have a titanium frame with handcrafted Japanese acetate lens rim insert. The Dita Avocet-Two is only available in Matte Tokyo Tortoise - Black Carbon on the Dita.com website, but can be found in Titanium Black on Amazon.com or eBay. In the first season of Ballers, the Rock wears Oliver Peoples Strummer sunglasses.